Verona is most famous as the setting for Shakespeare's Romeo and Juliet. Though close to the more popular tourist destination of Venice, many people consider Verona a more relaxed and pleasant place to visit. There are many tourists, but the number of tourists per square meter is lower. 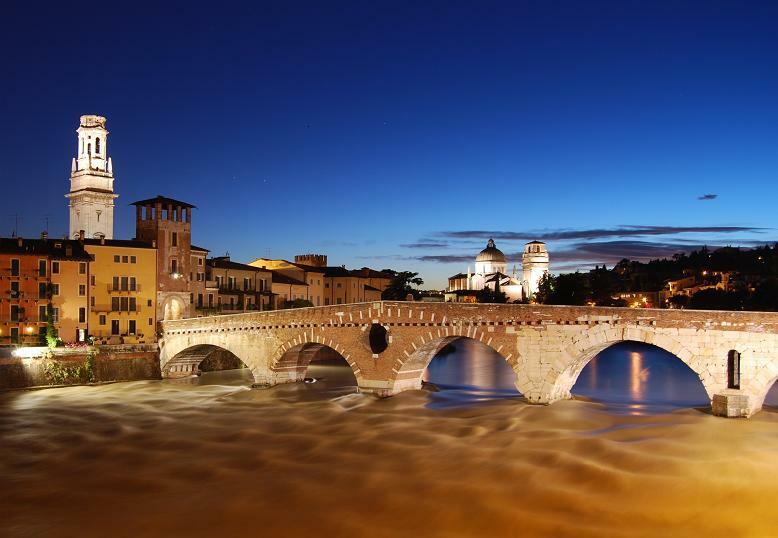 A trip to Verona is a plunge into the emotions of bygone times, of a city that conserves values and forms related to an ancient past of medieval and renaissance splendour. According to the poet, Shakespeare, “There is no world outside these walls…” but this also expresses the impression that strikes tourists when they enter the ancient walls that surround the city. The tragic story of the love of Romeo and Juliet, which Shakespeare situates in the Verona of the Scala seigniory, makes the city a preferred destination for lovers and tourists seeking emotions. Verona was a Roman city, and many Roman ruins have been preserved, notably the Arena. Most of the historical sights to see today date from the past 800 years. During the summer months a stroll through the ancient city can reach a climax of emotions in an evening at the Arena, Italy’s largest opera theatre. 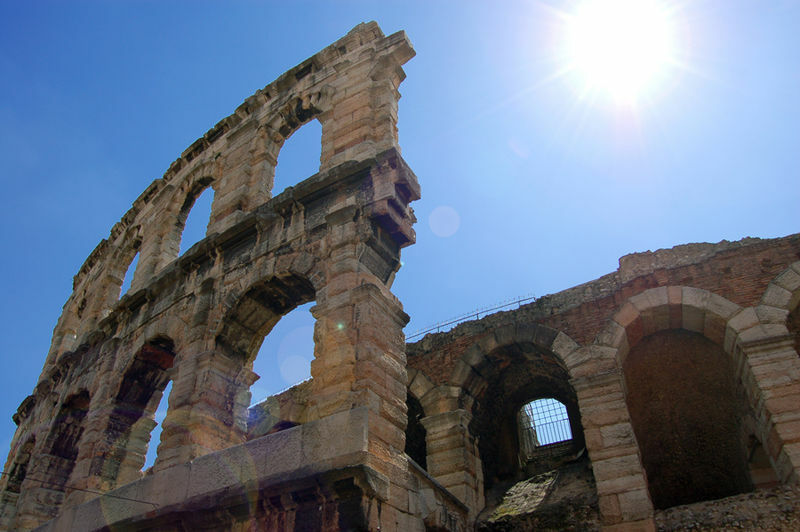 The Roman amphitheatre can seat 15,000 spectators and put on a show with scenery designed by the greatest artists in the world: an evening at the Arena is unforgettable and reason enough alone to make a trip to Verona. • Catullo Airport (IATA: VRN) (ICAO: LIPX), . Verona's closest airport, 12 km from the city. • Budget airlines fly from Brussels (Charleroi), Dublin, London-Gatwick, London-Stansted, Paris-Beauvais, Madrid, Alghero, Palermo, Trapani and Brindisi to Catullo Airport (IATA: VRN) of Verona. • Buses will take you from Verona Airport direct to Verona railway station. It costs 6€, and you can buy the ticket directly from the bus driver. from Munich (5 hours and 30 mins by EuroCity). Be aware that local trains (Regionali) also stop at a minor station, Verona Porta Vescovo.